Cybercriminals are becoming more adept, innovative, and stealthy with each passing day. They are now adopting more clandestine techniques that come with limitless attack vectors and are harder to detect. A new strain of malware has now been discovered that relies on a unique technique to steal payment card information from point-of-sale (PoS) systems. Besides using 'unusual' DNS requests to exfiltrate data, the UDPoS malware disguises itself as an update from LogMeIn—a legitimate remote desktop control service used to manage computers and other systems remotely—in an attempt to avoid detection while transferring stolen payment card data pass firewalls and other security controls. 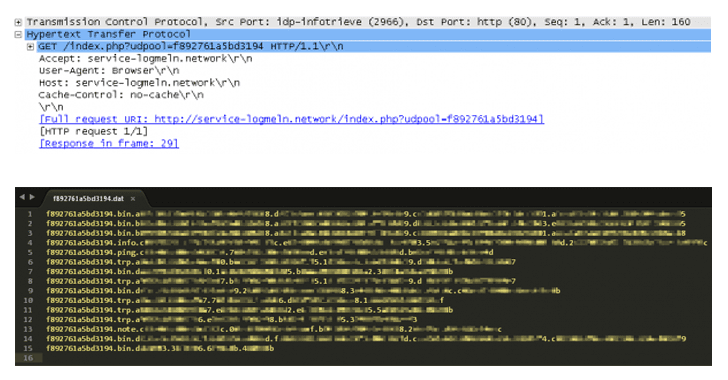 "We recently came across a sample apparently disguised as a LogMeIn service pack which generated notable amounts of 'unusual' DNS requests," Forcepoint researchers said in a blogpost published Thursday. "Deeper investigation revealed something of a flawed gem, ultimately designed to steal magnetic stripe payment card data: a hallmark of PoS malware." Like most malware, UDPoS also actively searches for antivirus software and virtual machines and disable if find any. The researchers say it's unclear "at present whether this is a reflection of the malware still being in a relatively early stage of development/testing." Although there is no evidence of the UDPoS malware currently being in use to steal credit or debit card data, the Forcepoint's tests have shown that the malware is indeed capable of doing so successfully. It should be noted that the attackers behind the malware have not been compromised the LogMeIn service itself—it's just impersonated. LogMeIn itself published a blogpost this week, warning its customers not to fall for the scam. "According to our investigation, the malware is intended to deceive an unsuspecting user into executing a malicious email, link or file, possibly containing the LogMeIn name," LogMeIn noted. "This link, file or executable isn't provided by LogMeIn and updates for LogMeIn products, including patches, updates, etc., will always be delivered securely in-product. You'll never be contacted by us with a request to update your software that also includes either an attachment or a link to a new version or update." According to Forcepoint researchers, protecting against such threat could be a tricky proposition, as "nearly all companies have firewalls and other protections in place to monitor and filter TCP- and UDP-based communications," but DNS is still often treated differently, providing a golden opportunity for hackers to leak data. Last year, we came across a Remote Access Trojan (RAT), dubbed DNSMessenger, that uses DNS queries to conduct malicious PowerShell commands on compromised computers, making the malware difficult to detect onto targeted systems.